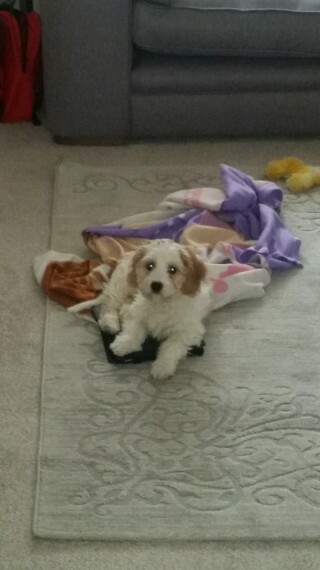 Beautiful 12 week male F1 cavachon puppy for sale. Selling due to unforseen circumstances. He is amazing with kids, loves cuddles and being around people. Very friendly nature.. Comes with bed blanket bowls bag of food toys puppy pads. Microchipped and as had both injections. Ready to go out from Monday onwards He is starting to use toilet outside but keep puppy pads around for him just incase. First person to view will fall in love..